Rabbinical author; died in Vienna 1730. He was well versed in the Midrashim, and was the author of "Nezer ha-Ḳodesh," an extensive commentary on Midrash Rabbah, a part of which, namely, on the first section of Genesis, was published in Tessnitz 1718. 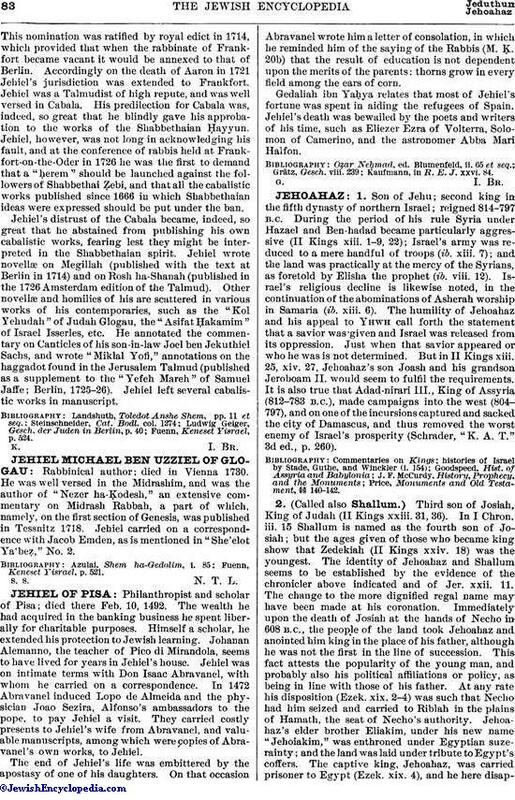 Jehiel carried on a correspondence with Jacob Emden, as is mentioned in "She'elot Ya'beẓ," No. 2. Fuenn, Keneset Yisrael, p. 521.